UK bans gas powered cars by 2040. | The Solar Nerd. UK bans gas powered cars by 2040. 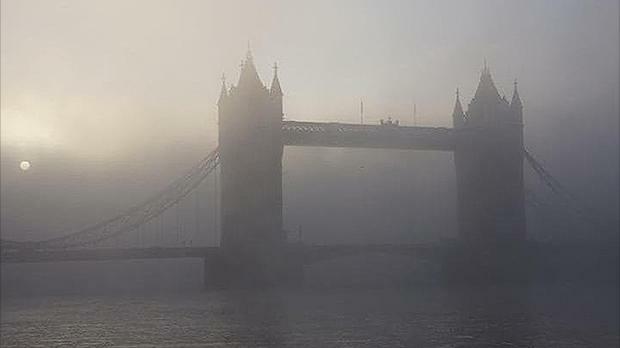 The picture above illustrates the smog problem in London. This week in the United Kingdom the government announced a ban on the sale of new fossil fueled vehicles by the year 2040. There are 31 million registered vehicles in the UK right now, and the ban does not take place for another 23 years, but it signals to car manufacturers globally that they have to develop more alternative / electric powertrain technology if they want to keep selling vehicles in the UK. The government in India has enacted a similar ban by the year 2030. There are over 60 million cars and trucks in India today, with robust growth in car ownership expected over the next 13 years. As a country India is rapidly expanding their solar infrastructure as well, there are currently more than 300 million people in India who lack access to the power grid. The uptake of solar will improve countless lives, and this power source goes hand in hand with 100 million electric vehicles on Indian roads. In 2016 over 350,00 new electric vehicles were registered in China, compared to about 150,000 new electric vehicles here in the United States. In 2016 across China 36 gigawatts of solar capacity was installed, compared to 14 gigawatts of new solar here in the United States. China has the most solar, followed by Japan, Germany and the USA. We don’t have as many air quality concerns here in the United States, with 320 million people in this country we are not as densely populated (per square kilometer) as China with 1.3 billion and India with over 1 billion people. The city of Wuhan has a larger population that New York and Chicago combined! The rest of the world seems to be ahead of the United States in regards to the uptake of green technology. China has to adopt electric vehicles because of the poor air quality in their cities. Florida is still pretty slow in terms of adopting solar, but I’m going out there every day and spreading the word. Yesterday I sold 2 residential solar installs right here in Tampa Bay. Green tech has to make economic sense for the consumer, both of my sales yesterday were to conservative police officers! 100 million homes in the USA, only about 1% have solar today. BIG opportunity there.